Love the dress. You look great. It’s great to see you smile, and girl those shoes and necklace are killing it! 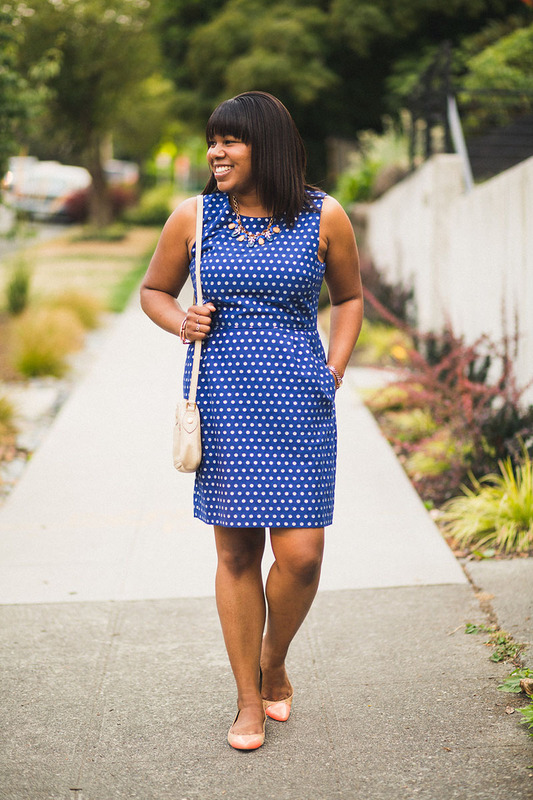 so cool that you got to attend blogger events 🙂 love the polka dot dress!! Thanks Syah! It was so much fun. I hope to attend more in the future. This dress is perfection! 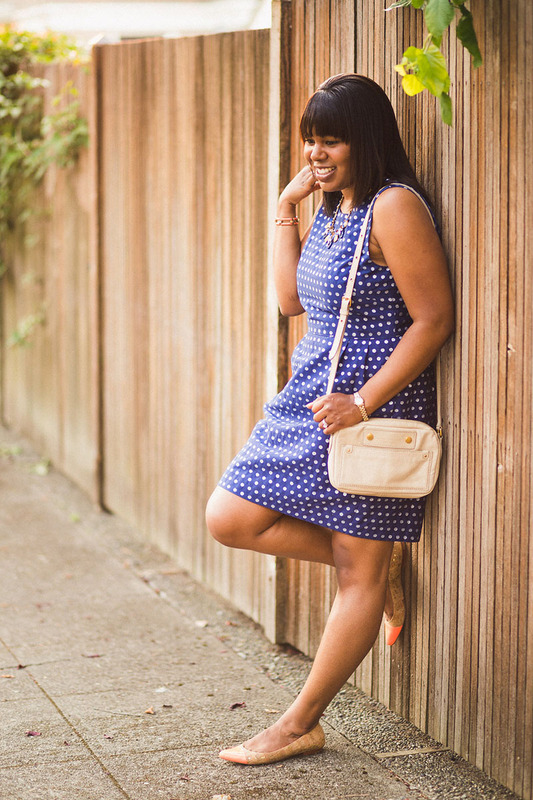 I love the polka dot pattern and the fit. 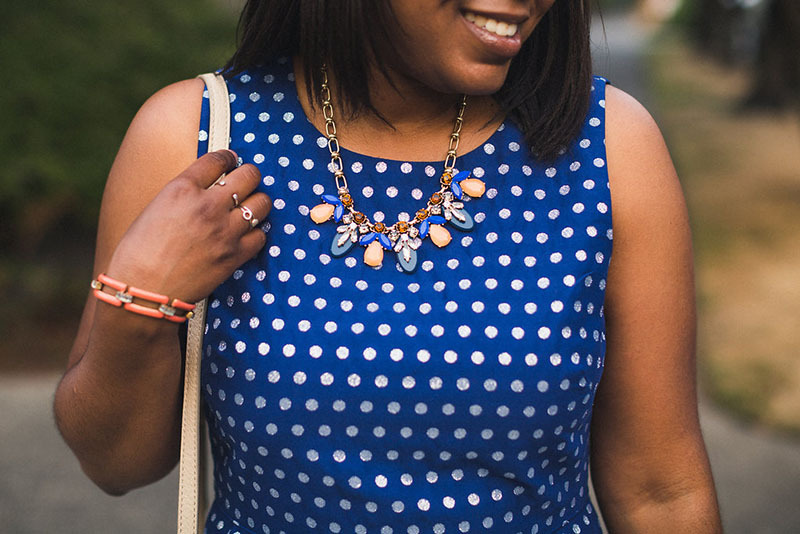 Those coral accents from the necklace and shoes are awesome! You’re so sweet. Thanks Alecz! Michelle did an AWESOME job with these pictures! 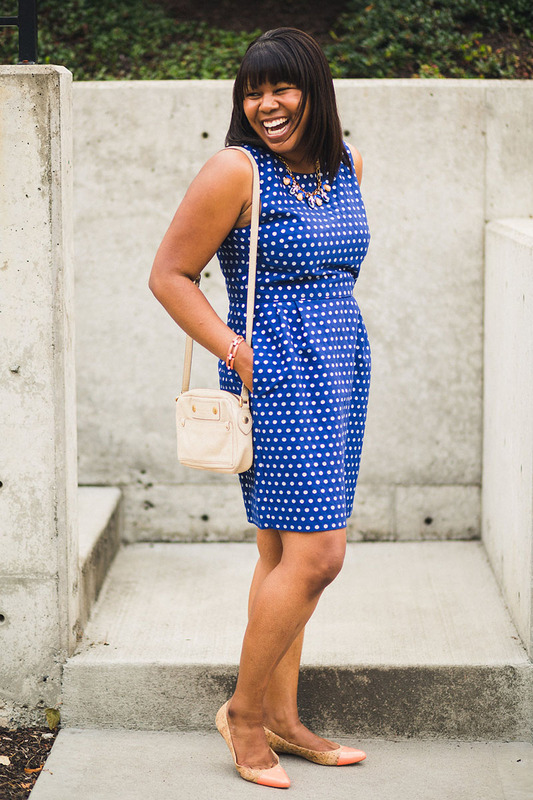 You look so beautiful Asa and this blue polka dot dress is so much fun! Aww, thanks Dana! 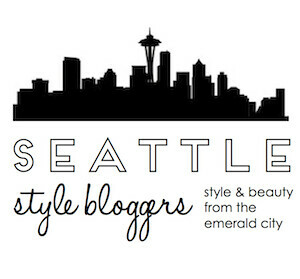 I love working with Michelle and connecting with other bloggers. It’s so inspiring to meet such talented women with similar interest. Thanks Mil. You’re the best! No worries, it was good for me to go by myself. I’m sure there will be other events in the future where I won’t have someone to go with, and I’ll have to be a big girl and just go. I however, wish you could have gone. You would have loved it. Maybe we can go together next year. This dress is a classic! I love it! Ps. I don’t know why but I stop receiving your post notifications since your last post on Flutter Skirt in my WordPress App. I’m not having this issue with others that I’m following. Maybe it’s just me….. Thanks Kally. You’re so sweet. I recently upgraded my blog to self hosted, that may be the reason you stop receiving notifications. I haven’t experienced this (I follow myself), and other people I interact with still seem to have my blog in their reader. Glad you were able to figure out. So beautiful! I love the polka dots and all the jewellery especially the necklace. I feel like I haven’t been on your site for a while but WOW it looks freaking amazing. Congratulations, all the images, the layout, the theme, it all looks 10/10. Thanks Karen! You’re so sweet. You always look.great in Polkadots. 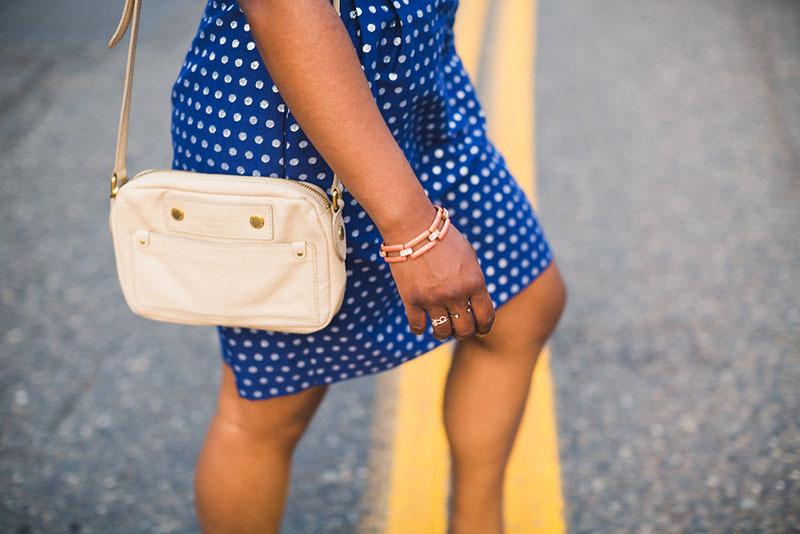 Love the fit of the dress and the accessories are perfect.I am glad you were able to attend such a special event and got to meet other bloggers,how special.Looking forward to your next post. Thanks Mom! I appreciate the kind words and you taking the time to comment. You know I love my polka dots! Maybe I should try to change it up. Thanks! The event as you know was fabulous, and I can’t wait for next years. It’s always fun meeting up with fellow bloggers. From the photo you guys seem like you had the greatest time. I also love your dress girl. Cute look. You look absolutely lovely! I love the necklace, so cute! I LOVED to finally meet up with you and had the absolute best time! 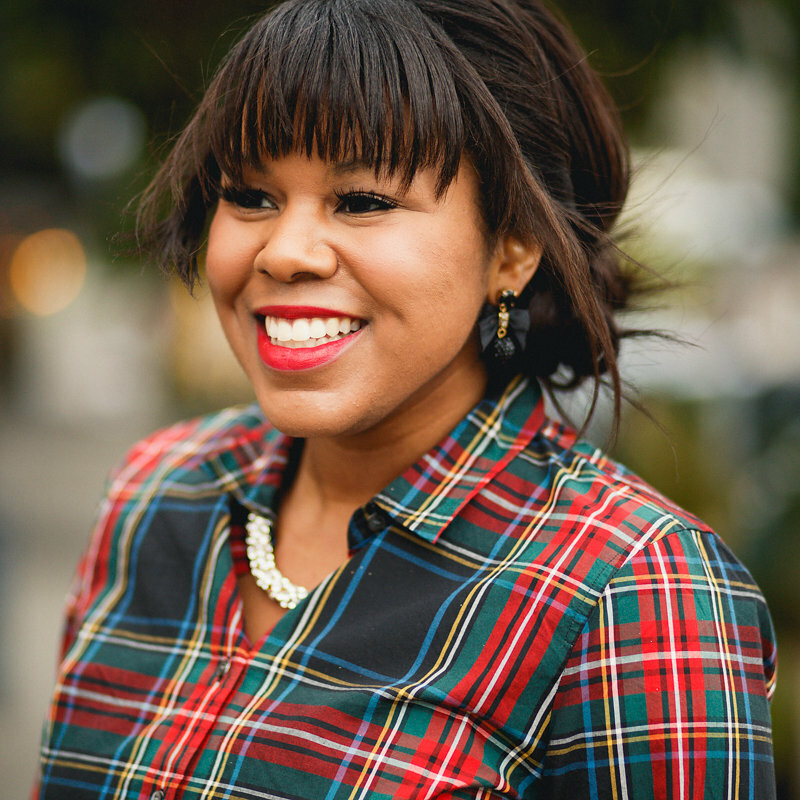 Meeting women like you is the main reason I started blogging. The community is so fun to be apart of. You look amazing in these pictures and I love this look. I hope you had a wonderful day, beauty! I loved meeting up with you too! I feel the same about the women in the community. They are awesome. Thanks Julianna! You’re so sweet.